We are very excited to be the proud owners of this beautiful and gentle male. 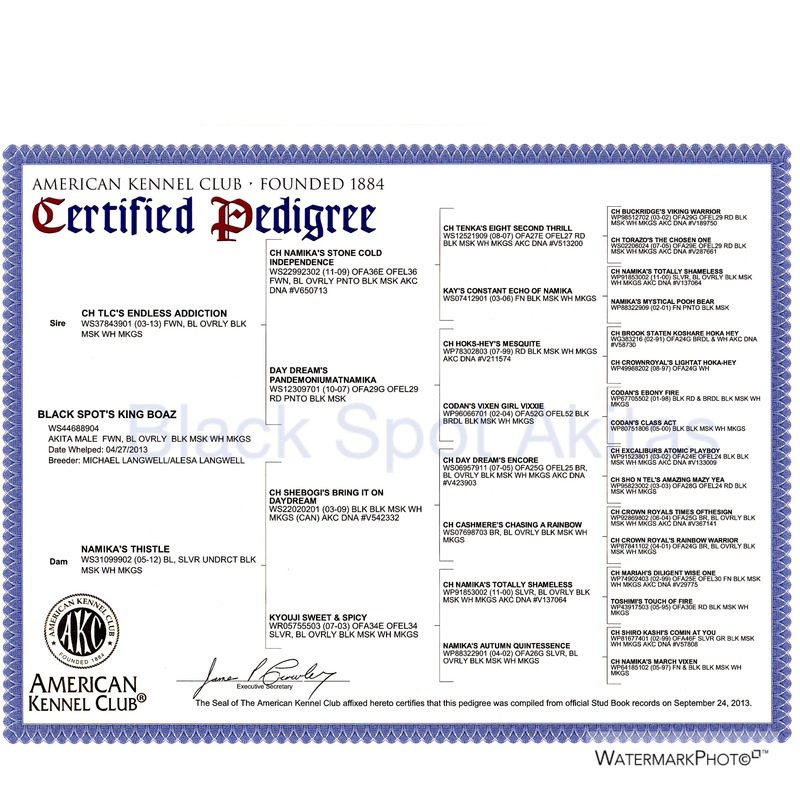 "Bo" has truly been a pleasure to raise and we have already enjoyed raising some of his progeny. The puppies we are getting out of Bo are truly gorgeous puppies. 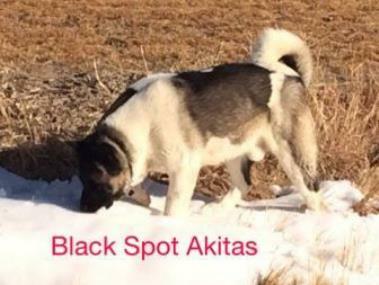 Bo has some fantastic bloodlines and should help us along in the direction that we want to go here at Black Spot Akitas. Bo has a very pleasing personality. He is very gentle and very tolerant and easy to get along with. He does not have the desire to exert his authority on every occasion. In fact, at times we have expected him to do so, and he hasn't. 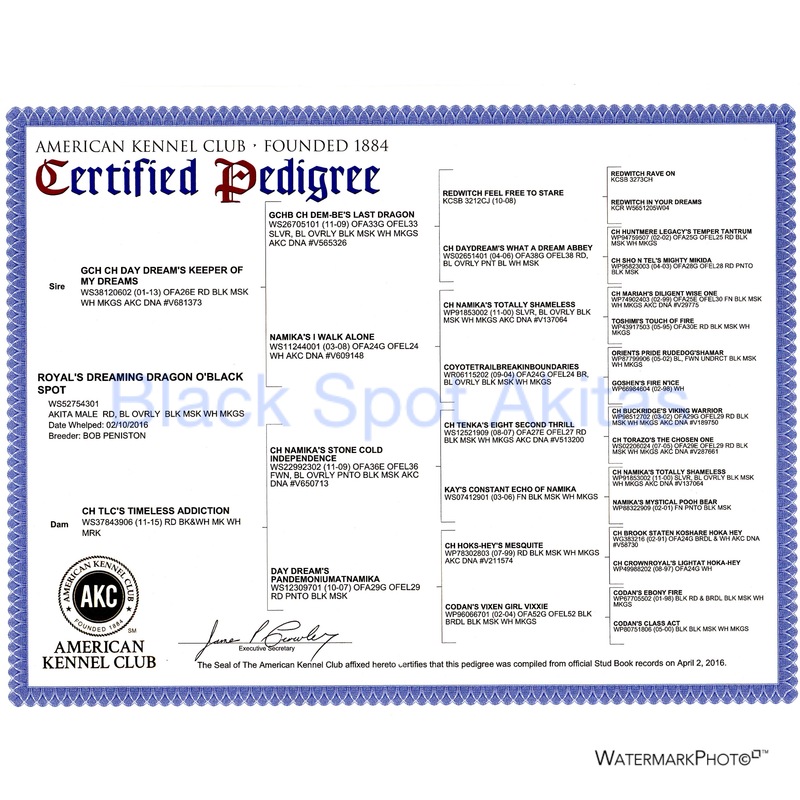 Bo's father is CH TLC's Endless Addiction, and in a 4 generation pedigree Bo has 20 champions behind him, so we feel that Bo has the potential to pass on some great genes to his puppies. Bo has great bone, nice short hair coat, broad head, short ears and muzzle, and is filling out nicely as a young male. 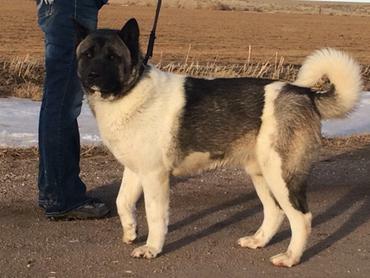 Bo is around 120 lbs. right now, but still has some filling out to do. If you are looking for a great dog to be your companion and friend, or is beautiful enough to go to a show, Bo will likely meet your expectations too. 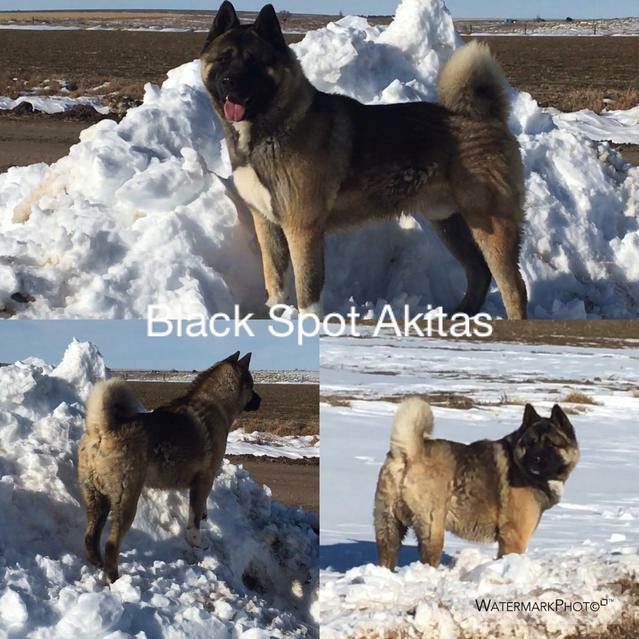 We are super excited for our future prospects here at Black Spot Akitas! We proudly introduce ROYALS DREAMING DRAGON OF BLACK SPOT!! We are calling this handsome guy, "Drago". 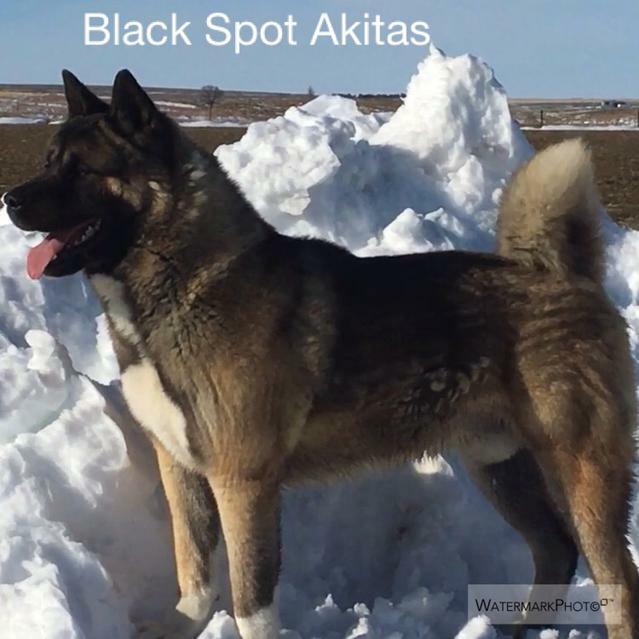 Drago has some fantastic bloodlines and confirmation that will help us move in the direction we want to go with our dogs. Drago has some great bone structure! The pictures above were taken when he was not quite 2 years old. When he is filled out, he should be massive! We are also enjoying his personality very much. He is still just a great big puppy at this point, but all indications are that he is very non-confrontational and easy to get along with.